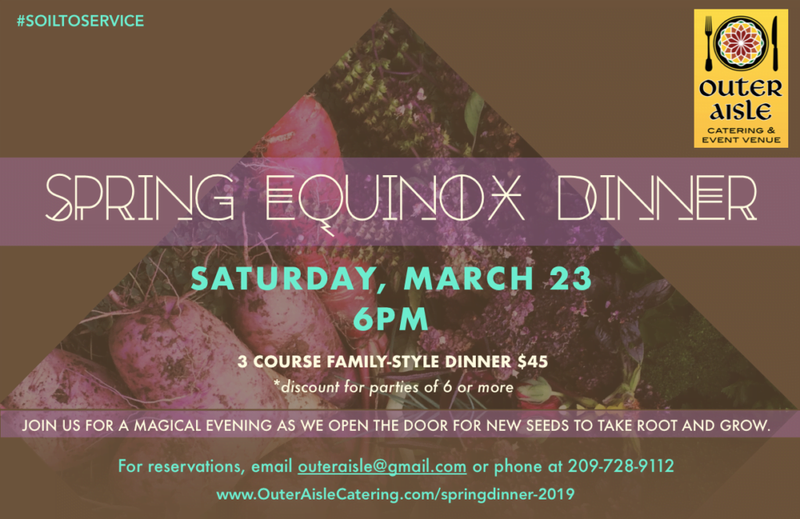 Save the date, March 23rd for family style dinner celebrating Spring Equinox. Experience an evening of conviviality and food to overwhelm the senses. Gardener Chefs Eric and Christine will prepare dishes that are inspired by the season and resonate with the palate. Their one acre kitchen garden provides the backbone to the experience and they like to say “what grows together goes together”. Here’s a unique opportunity to experience the true nature of food from soil to service in a beautiful environment with others that share the foodie spirit. Please see our menu here. Soil to service; microbes to microbes. Earth centered action inspires seasonal creations. Whether planting seeds, weeding crops, harvesting the abundance or creating seasonally inspired menus you'll find the thread of soil to service woven in our artistic expression. It's all about pure enjoyment with the highest most nutritious ingredients known to humanity!